The 2014 Nissan LEAF will be making its debut at the Johannesburg International Motor Show and will go on sale as the first EV in the country. When the Johannesburg International Auto Show opens in October, the country will see the debut of the new Nissan LEAF electric car for the first time, marking the first battery electric vehicle to be sold in South Africa. 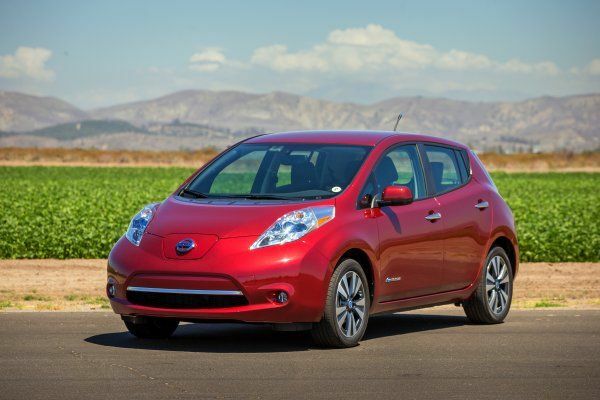 Pilot programs with the LEAF have been underway in South Africa for several months through Eskom, a national electricity supply company, and government agencies such as the Department of Environmental Affairs and the Technology Innovation Agency. This pilot paved the way for EVs in South Africa. The launch of the LEAF into South Africa also marks Nissan's official entry as the only globally-available mass production EV. Nissan has sold more than 75,000 LEAFs since it launched in 2010. "After initially announcing that the Nissan LEAF would grace South African roads at the 2011 Johannesburg International Motor Show, we are now even more excited to be able to bring full EV mobility to the South African public with a holistic approach," concludes Whitfield. "This award-winning car will set a new tone for personal mobility in the country and we are honoured that Nissan is the first name on the list of EV manufacturers in South Africa." Managing Director of Nissan South Africa, Mike Whitfield, comments: "The launch of the Nissan LEAF in South Africa will be a ground-breaking event this year as it brings about the dawn of a new era of motoring. Nissan is the first brand to explore EV retail in South Africa and we are extremely proud to be able to say 'we were first'."